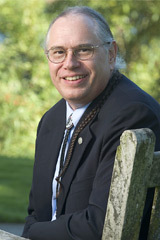 Terry Cross is an enrolled member of the Seneca Nation of Indians and is the developer, founder, and executive director of the National Indian Child Welfare Association. He has four decades of experience in child welfare, including 10 years working directly with children and families, and he is a national leader on culturally competent systems of care. SPARC’s April, 2014, interview with Cross focuses on the importance for advocates of understanding the unique role of tribes in child welfare and recognizing that some children subject to the federal Indian Child Welfare Act do not live on tribal reservations. A transcript of highlights from the interview is available here.